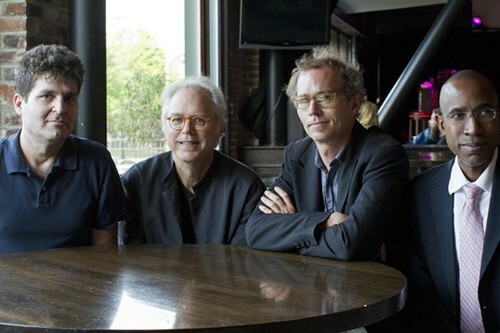 It can be hard to keep up with guitarist Bill Frisell, who leads several bands, participates in plenty of one-off collaborations, and works in an increasing number of cross-disciplinary projects, such as the one that brings him to Symphony Center on Friday night: The Great Flood. Frisell has written a 75-minute suite for a film by Bill Morrison (Decasia) about the devastating 1927 flood of the Mississippi River that killed 246 people in seven states, affected 27,000 square miles, and did $400 million in damage; the havoc it wreaked upon agriculture was a leading cause of the subsequent Great Migration, which obviously had a great impact on the development of American music. The film is a documentary, after a fashion, built from archival footage—much of it on volatile nitrate stock. The naturally occurring distortion and bubbling of images in decaying film stock is a trademark of Morrison's work. Friday's performance is the Chicago premiere of the movie and of Frisell's score; you can check out a four-minute trailer for the project below. Frisell's ensemble on Friday will consist of three of his steadiest collaborators: trumpeter Ron Miles, bassist Tony Scherr, and drummer Kenny Wollesen. Frisell is a featured player on Miles's gorgeous new trio album, Quiver (Enja), which also features drummer Brian Blade. Considering the guitarist's penchant for using effects pedals to expand and alter his sound, often giving it a plush, almost pastel tone, it's a little surprising that he generally opts for a leaner, cleaner sound here—apparently he felt no need to provide low end to make up for the absence of a bassist. The three players engage in high-level conversation, prodding, caressing, and responding to one another. Below you can hear their gorgeous version of "Days of Wine and Roses." Ron Miles, "Days of Wine and Roses"
Miles also turns up as a guest on Floratone II (Savoy Jazz), the second album by Frisell's genre-defying band Floratone, which includes ubiquitous session drummer Matt Chamberlain and two producers, Lee Townsend and Tucker Martine. The producers stretch, manipulate, and enhance the sonic skeleton crafted by the instrumentalists to create richly atmospheric instrumentals that are part rock, part jazz, and part ambient music. Miles makes a rare display of extroversion on the driving "No Turn Back" below.